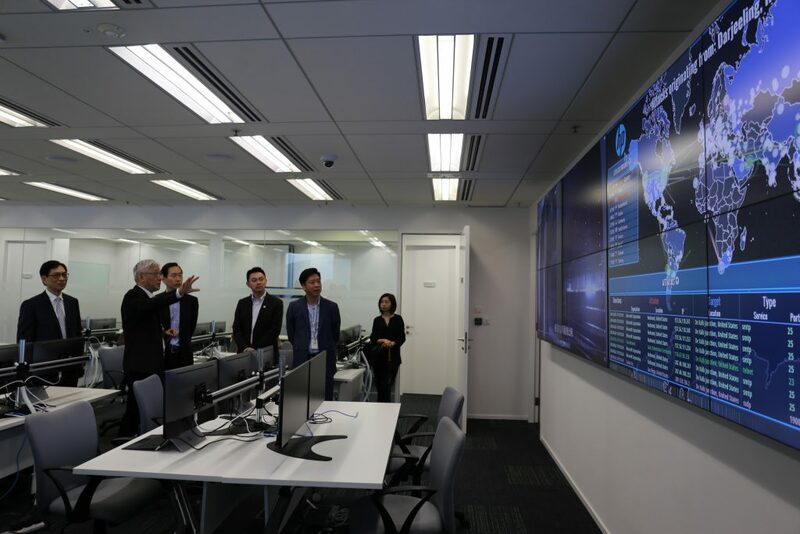 ASTRI has had the privilege of showcasing a number of ASTRI’s latest technologies to The Honourable Bernard Charnwut Chan, GBS, JP on 20 May 2016 when he paid a visit to ASTRI. 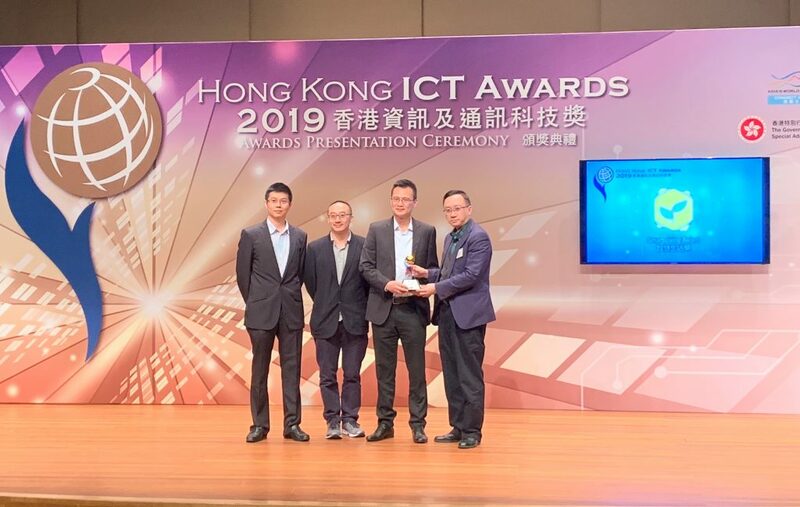 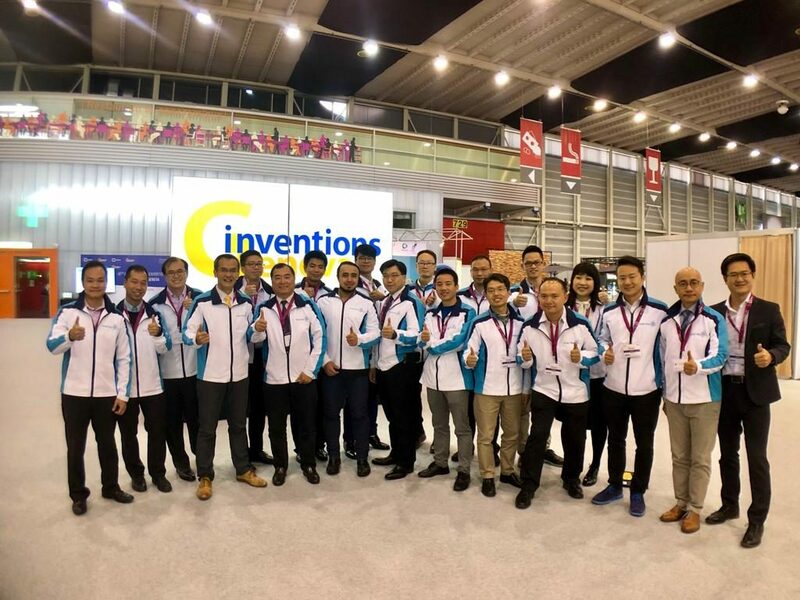 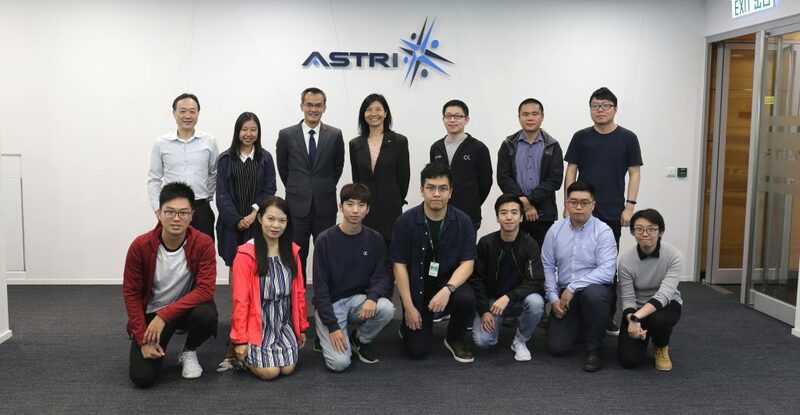 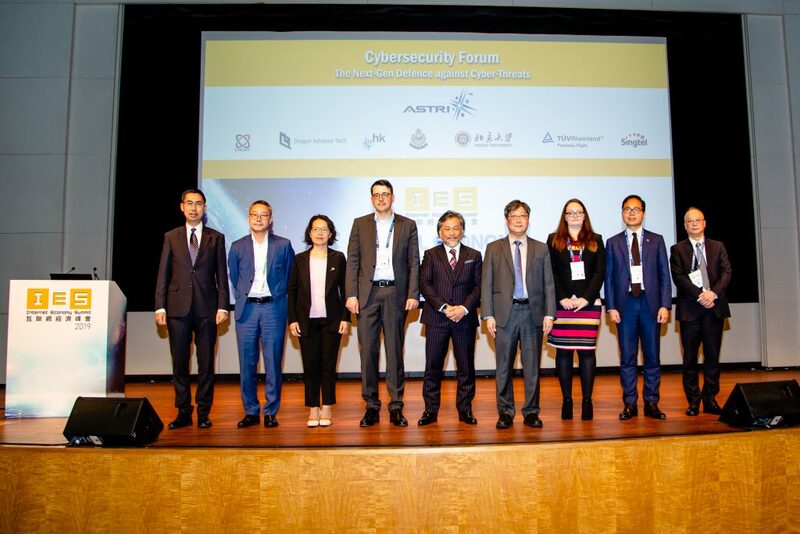 ASTRI’s CEO Dr. Frank Tong, CTO Dr. Ieong Meikei and Director of Security and Data Sciences Dr. Duncan Wong presented an overview of ASTRI to Mr. Chan and showed him the latest technologies including ASTRI Security Lab, Cyber Range Lab, Blockchain, facial recognition, HPE Data Analytics Lab, Naked Eye 3D Display Lab, AI on Chinese character recognition, behavioral authentication and 5G Wireless Lab. 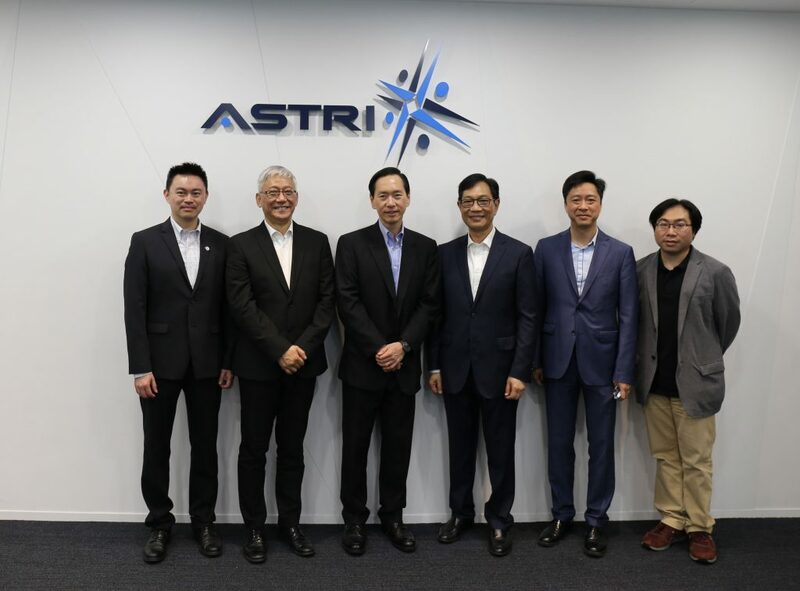 Mr. Wong Ming-yam, BBS, JP, Chairman of ASTRI (3rd from the right) and ASTRI’s senior management extend a warm welcome to the Honourable Bernard Charnwut Chan, GBS, JP for visiting ASTRI (3rd from the left). 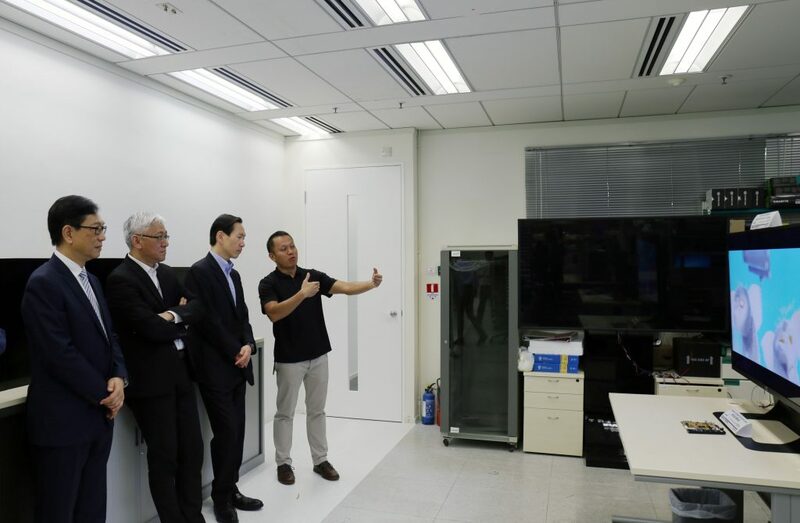 ASTRI’s CEO Dr. Frank Tong and R&D expertise present ASTRI’s latest technologies (Left photo: Visit to Cyber Range Lab; Right photo: Visit to Naked Eye 3D Display Lab).